Are you planning a visit to the beautiful Shenandoah Valley in Virginia? This is one of our favorite places to visit in the US. It offers a huge variety of family fun activities everyone will love. You’ll find amazing views and hikes in Shenandoah National Park and cruising Skyline Drive. A super cool cave to explore at Luray Caverns. 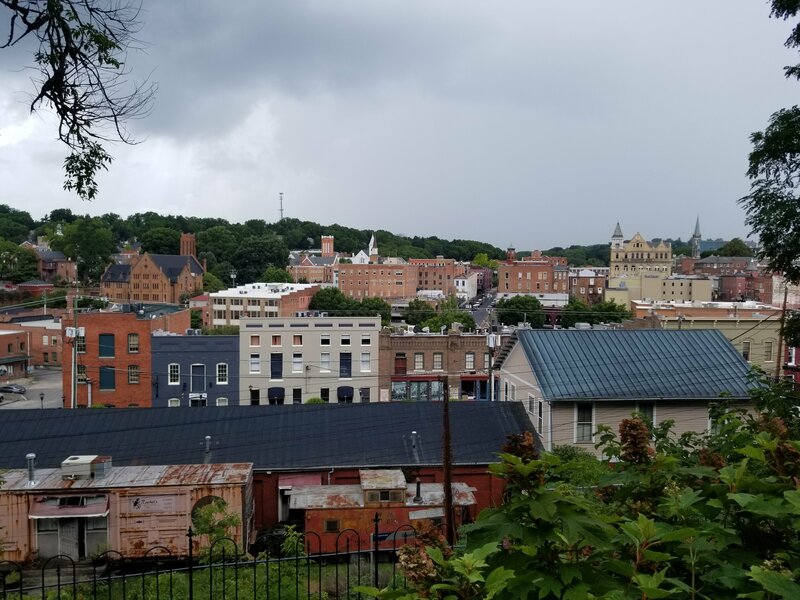 Plus cute towns to visit in Winchester, Staunton, and Charlottesville, Virginia. Let me show you all the best things to do in Shenandoah Valley to make it a family vacation you’ll never forget. Shenandoah National Park is only 75 miles from Washington, D.C. but you will feel like your in another world. Set in the Blue Ridge Mountains, you will find amazing views over Shenandoah Valley and fun family adventures. Start out by visiting the visitor centers to get an idea of where you are going, grab a map, and talk to the rangers about the best hikes. This is a great place to stop for a picnic lunch and bathrooms, too. The visitor centers also have great displays to learn more about the park that your kids will love. Plus, there are ranger led tours along the nearby paths where the rangers will talk about Shenandoah National Park. Next, head out on one of the many family friendly hikes. You can visit a cool waterfall at Dark Hollow Falls or head to Stony Man Hike where the kids can scramble up the hills to see the great views of the park. We also loved climbing the rock paths on Bearfence Mountain trail. Here is a link to trail maps and brochures. Once the kids are worn out, take a drive on the scenic Skyline Drive. Along the way, you will find several pullouts for your car where you can stop to admire the view and take some pictures. The whole drive can take up to 3-4 hours without stops so plan on a full day. Keep your eye out for wildlife as you drive, we saw deer and bears while we were there. Just keep your distance and the bears are fine. You can learn more about bear encounters at the visitor centers. I would suggest to bring a backpack or my favorite, a fanny pack, with you to carry snacks and water on your hike. I prefer fanny packs because it saves me from back pain after the hike. Here’s my favorite that turns into a purse for later and carries two water bottles. We also have found that a hiking backpack carrier that holds kids is a great way to make hiking easier when they are little. We favor the Cross Country Baby Carrier. Get all the details you need to plan your visit in my Ultimate Guide to Shenandoah National Park. Easily plan your trip before you go with the best hiking trails, what to see, and tips for visiting the park. Looking for other great National Parks to Visit with the Kids? Check out 8 Top Things to Do in the Great Smoky Mountains National Park and Best Guide to Ohio’s Cuyahoga Valley National Park. The Luray Caverns is not to be missed on your visit to Shenandoah Valley. You will be astonished by the size of stalactite and stalagmite growing in the cave. We couldn’t believe all the different forms and shapes created over thousands of years. Pretty amazing to see. For the visit, plan about an hour to take the guided tour of the cave. Docents along the way will teach you all about the caves history and what you are looking at as you walk through the sidewalk path. We found this really helpful. To get to the cave, you walk down a long stair case and then follow along a sloping paved sidewalk area. There are 3 sets of stairs throughout the cave so a small stroller is recommended but it’s a pretty easy walk for kids. There is constantly something new and exciting to look at so we found the kids so engaged they didn’t mind the walk. 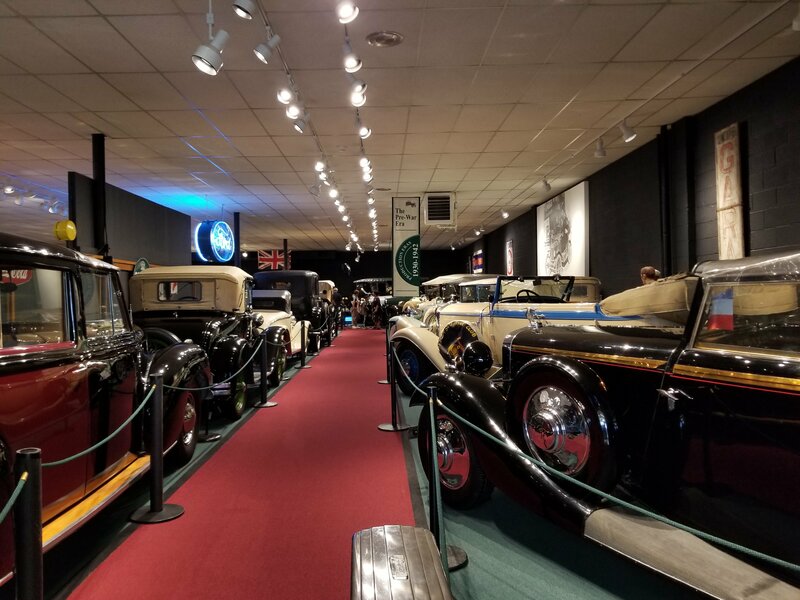 Also included in your ticket are three small museums: Toy Town Junction, the Car & Carriage Caravan Museum, and Luray Valley Museum. Each is located on the property around the large parking lot area. With the addition of these three museum, I would plan on making this trip last about a half a day. They do have two cafes to eat at and a wine tasting area to help you get through the day. There are also picnic benches if you want to bring your own lunch. Here’s the cooler we like for picnic lunches. 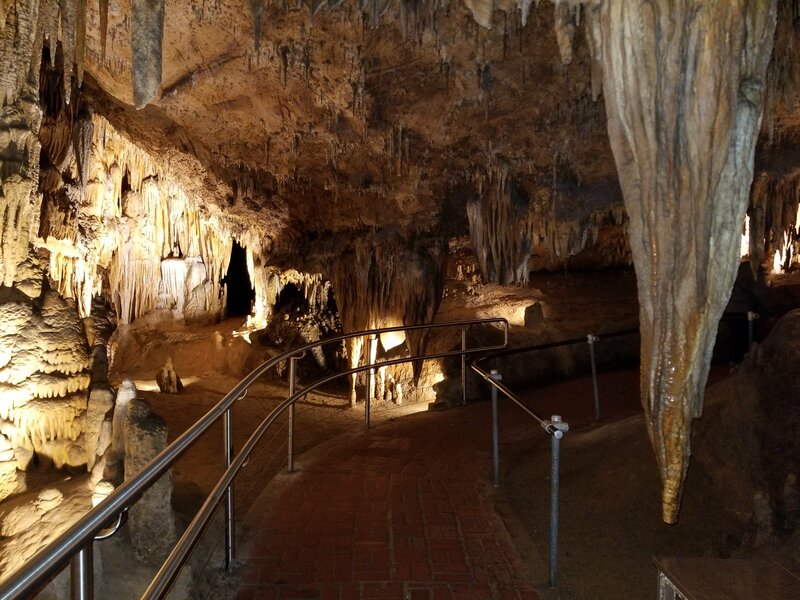 Want to learn more about Luray Caverns? 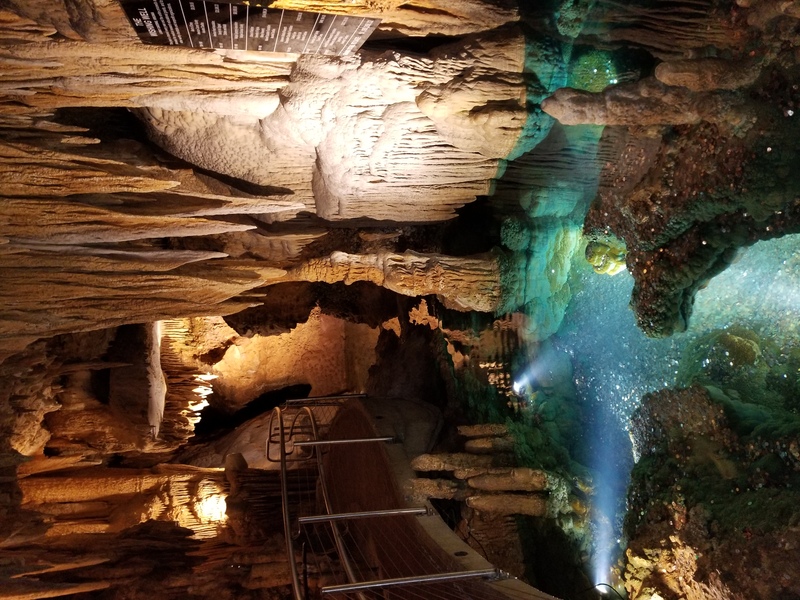 Ready Luray Caverns Virginia What to Know Before You Go. Winchester, Virginia is a small town in Shenandoah Valley with a cute little downtown area called Old Town Winchester. The Old Town area is pedestrian friendly with local shops and restaurants. 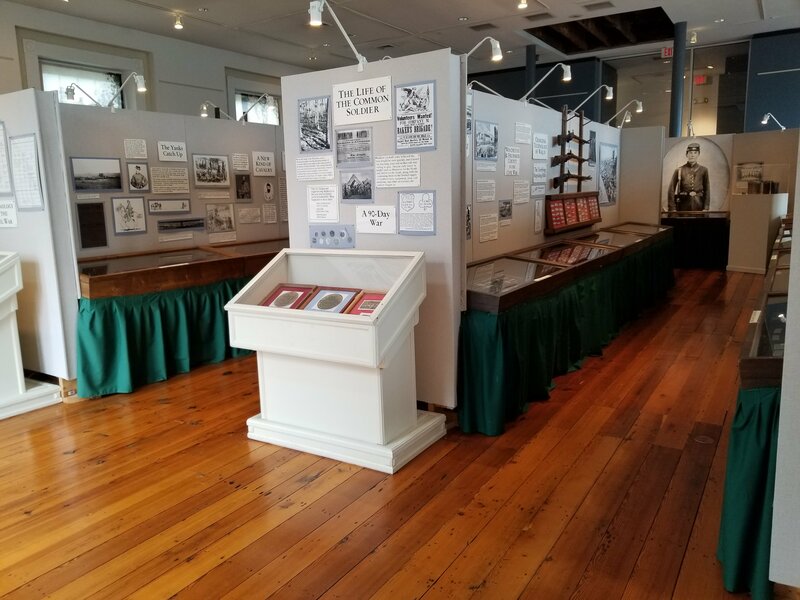 While in Old Town, make sure to check out the Shenandoah Civil War Museum located in the old court house. You will learn tons of history about the war in the exhibits plus see original graffiti left by Civil War soldiers jailed on the courthouse walls. The kids thought that was pretty cool. Also located off of the Old Town Mall area is the Shenandoah Valley Discovery Museum. Here you’ll find a variety of interactive exhibits for the kids to explore. This would be a great place on a rainy day or for a change of pace from hiking in the National Park. 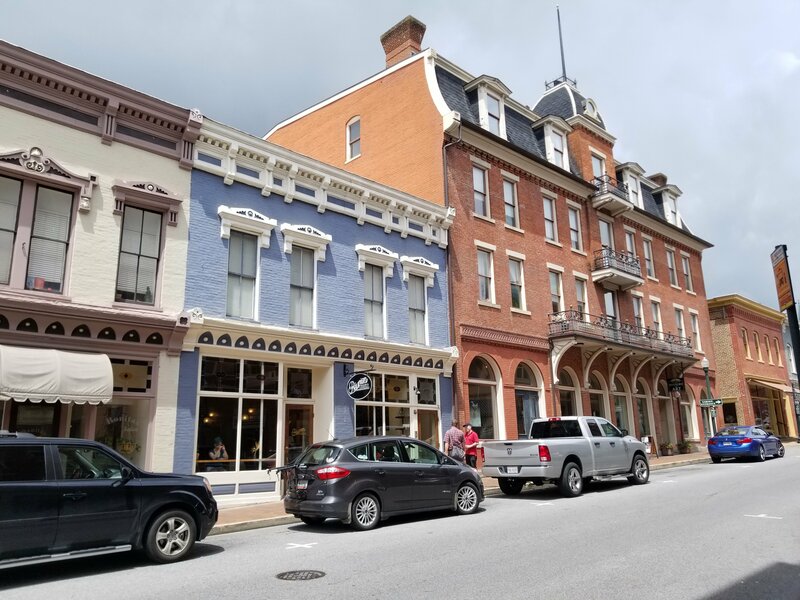 Staunton, Virginia is another cool historic downtown to explore while visiting Shenandoah Valley. Start out at the visitor center located in the downtown and pick up a self guided walking tour of the area. This will give you a better understanding of the town’s history. Take a walk over to the train station bridge and walk up the hill for a great view of the city. Don’t worry, it’s an easy walk. After walking around town, grab a quick lunch at The Depot Grille. 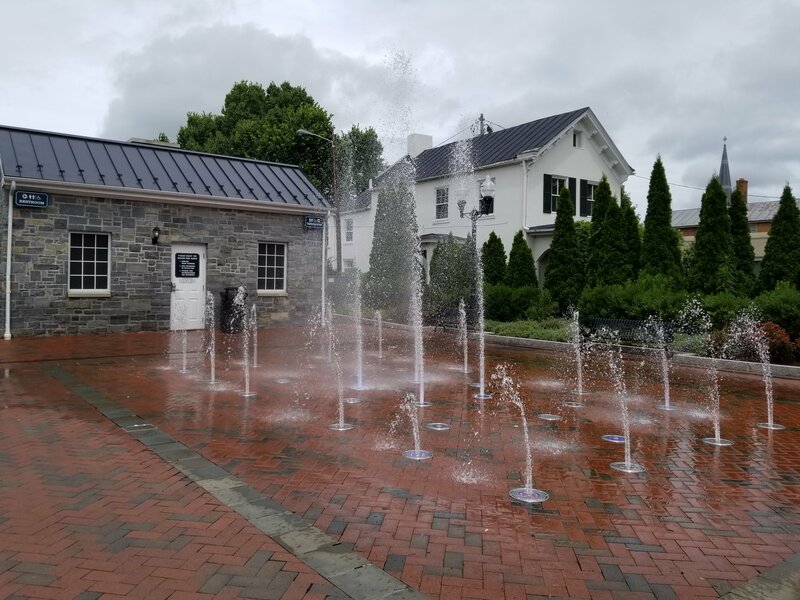 It’s located in the old freight depot of the Staunton Train Station and is a family favorite. Kids will love drawing pictures that can be hung up on the walls of the restaurant. 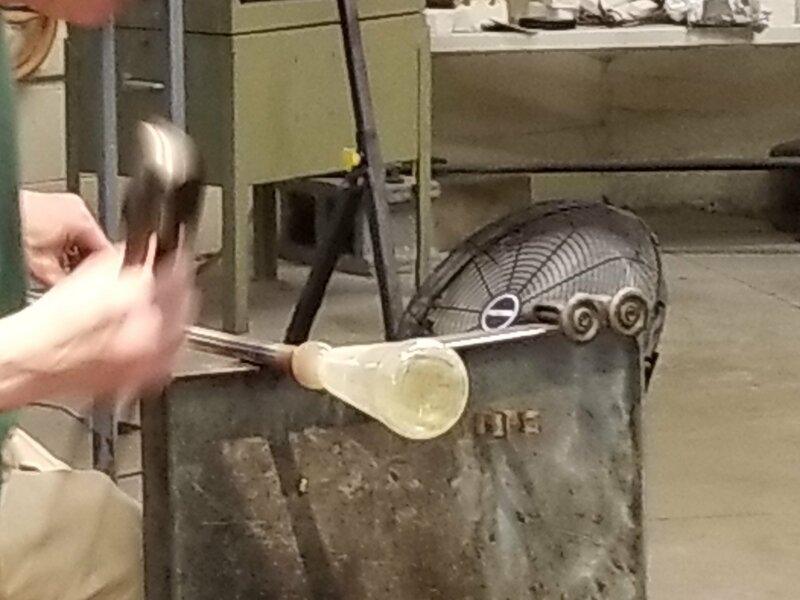 Afterwards, head over to Sunspot Studios and watch glass blowing demonstrations by local artisans as they make amazing glass creations. It’s really cool to see and free. Other fun activities in the area are the Woodrow Wilson Presidential Library & Museum and the living history museum at the Frontier Culture Museum. Want a fun day trip about an hour outside of Shenandoah Valley? Visit the family friendly town of Charlottesville and Monticello, the home of Thomas Jefferson. Both are only a half hour apart so it’s easy to fit both locations into one day. 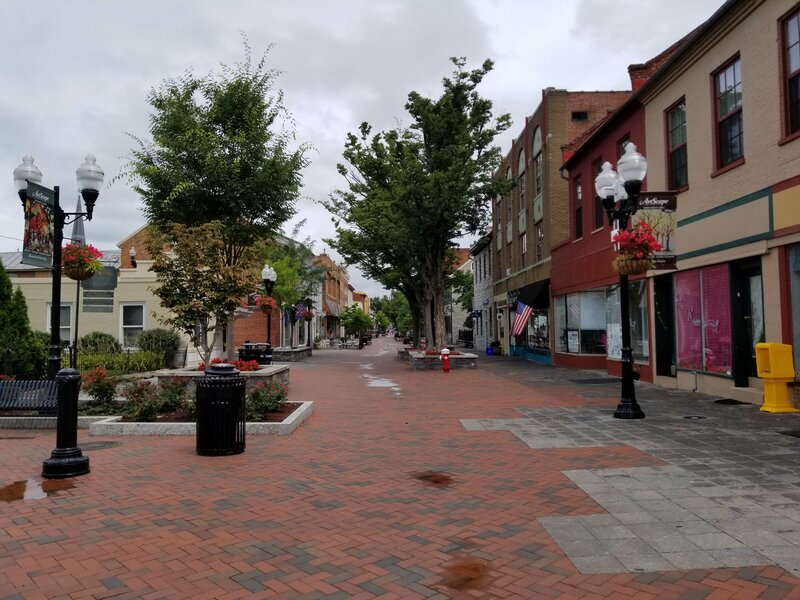 In Charolottesville, you will find a fun eight block historic downtown area. It’s one of the longest pedestrian malls in the US. Perfect with kids because there are no cars to watch for while they run around the open areas. There is even a giant chalk board for the kids to draw while you hang out in the courtyard. Stroll through the shops, have a bite at one of the many restaurants, and listen to a concert. After visiting the downtown, take a scenic walk through the campus of the University of Virginia. Marvel at the amazing architecture designed by Thomas Jefferson including the beautiful Rotunda. There is also cute little chapel with pretty stain glass windows to visit. You won’t want to miss visiting Thomas Jefferson’s mountain top home and gardens at Monticello. The home and grounds have been restored to give you a real feel of what it must have been like to live on this plantation. They offer a great family tour of the home which is geared toward children and really kept my kids engaged. I would suggest doing this first and then roaming the property to see the kitchen, gardens, and slave quarters. We also took a tour on the history of Slavery at Monticello which was really interesting. Another tour option is a garden tour. As you wander around, you will find a small farm shop built into the house to purchase a drink, ice cream, or small treat. Outside the shop, they have kids activities with games the Jefferson children would have played. This gave our kids a fun break from looking at the home. Make sure to check out the cellar area nearby with more great displays on how the family lived plus the new exhibit on Sally Hemings and her relationship with Jefferson. Make sure to check out the Griffin Discovery Room located where you buy tickets. This area has great hands on exhibits and activities for kids to learn more about the Jefferson family, including reproductions from the home and plantation. Tip: If you are going during the summer months, you might want to book your tickets ahead or get there early in the morning. The tour times book up fast. Visiting Shenandoah Valley is a wonderful trip for families. There is so much to see and do, you can easily fill up an entire week. Between Shenandoah National Park, Luray Caverns, and the fun local towns you will have more than enough to do. So are you ready to go? I’d love to hear from you if you have any questions or other fun places to visit in Shenandoah Valley. Just leave it in the comments. Want to be in the know of other great family vacation ideas? Join the Happy Mom Hacks Enews and never miss a new destination. Plus get the Ultimate Family Travel Packing list to be ready for your next vacation. Follow me on Facebook, Twitter and Instagram for fun parenting humor to have a laugh everyday. Plus get more family travel ideas, easy meals, kid parties, mom hacks, and more.